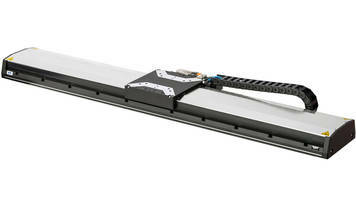 PI’s 412 Mid-size linear stage family for industrial automation complements the larger 417 high-load stages. 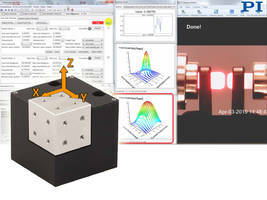 February 2019, Auburn, MA – PI’s new L-412/V-412 linear stage family is designed for high precision industrial automation and positioning applications with medium loads. 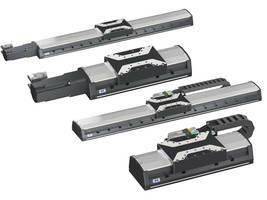 Both linear motor driven and ball-screw driven versions are offered to cover high speed motion and to provide high push/pull force for vertical applications. Both models come with travel ranges from 2” to 24” (52mm to 610mm). 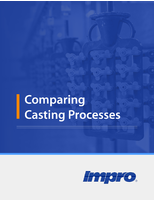 Applications include high demands on dynamics, precision, smooth scan motion, short settling times, and low tracking error, such as required in laser cutting, scanning, digital printing, electronics assembly and inspection, AOI (Automatic Optical Inspection), automation, and flat panel manufacturing. The L-412 ball screw model is equipped with a synchronous servo motor, and can be re-lubricated without disassembly, further extending its high reliability and long lifetime. A cover strip on the side and the purge air connection prevent contamination of the working components by particles. 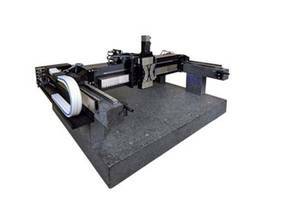 An optional holding brake allows an increase in its usability as a Z axis stage. Its higher-speed V-412 sibling features an ironless linear motor, and comes with an optional absolute linear encoder. 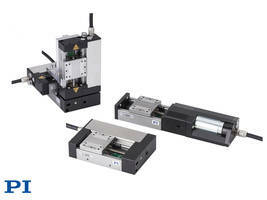 The 3-phase, frictionless magnetic direct drive provides a peak force of 151N to the motion platform. This non-cogging motor design provides vibrationless smooth motion at high and low velocities and superior position control. Also like its ball screw family member, the V-412 has a cover strip on the side and the purge air connection prevents contamination of the working components by particles. PI is a leading manufacturer of air bearing stages, piezoelectric solutions, precision motion control equipment, and hexapod parallel-kinematics for semiconductor applications, photonics, bio-nano-technology and medical engineering. PI has been developing and manufacturing standard & custom precision products with piezoceramic and electromagnetic drives for 4 decades. The company has been ISO 9001 certified since 1994 and provides innovative, high-quality solutions for OEM and research. The PI group employs more than 1,300 people worldwide in 15 subsidiaries and R&D / engineering centers on 3 continents.